Monetization, ad-sponsored content and conference sponsorship discussions have become more and more prevalent among the blogging community. I’ve noticed that the issue of contractual obligations has started to come up. Throughout the twitter stream I see pleas for sponsorships, giveaway donation, reviews and so forth. In addition, as bloggers, often we agree to a number of obligations that may or may not be written formally or even at all. Contracts are written or oral obligations between two or more parties. When they are written, they may be as formal as a fully negotiated agreement between lawyers or as casual as the exchange of a few emails. In the law though, there are only three (3) things needed to make a contract enforceable between two or more parties. I use the term parties because I’m including both people and organizations. For a contract to be valid there must be (1) an offer, (2) acceptance of that offer and (3) consideration, whether monetary or not. 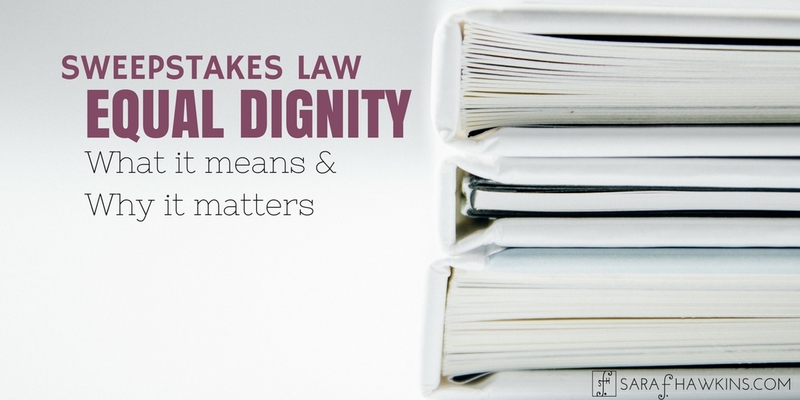 It seems pretty simple, but some of the most litigated issues in the court system has to do with one of these three-part of a contract. While they seem very simple, in fact, they can become exceedingly complex by a host of nuances, misunderstanding and timing. By this point, most people have entered into some sort of contract in their life. As kids or young adults we’ve likely all asked someone to do something, they agreed to do it and we paid them in some fashion. Most of these contracts were oral (verbal). Certain contracts for the sale of goods worth more than $500, which is subject to the Uniform Commercial Code. As you can imagine, verbal agreements are very difficult to enforce. Remember when you were a kid and your brother/sister/friend offered to give you their favorite thing if you would do something for them? And then you did your part but they didn’t do theirs, or you don’t think they did what you thought they were supposed to do. And your mom or dad basically said to figure it out yourselves. It wasn’t because they didn’t want to deal with another disagreement – ok maybe it was – but you understand the difficulty in knowing that whole ideas of he said/she said. If you are a parent, you know this idea of being household mediator very well. Now imagine if it related to your blog and it involved a brand or PR firm. Verbal agreements are rife with challenges. Sometimes it’s a matter of a simple misunderstanding but there are too many opportunities that create the potential for one or more of the parties not to do with the other thought had been agreed upon. You may have even had a first hand experience with a verbal agreement not going as you thought it was supposed to go. Written agreements, in this day of email, text, fax, phone and other technology, are much easier to work with. No longer left to wait for days or the mail service, parties can have protracted discussions in a matter of hours, whereas in the past it could have taken days or weeks. 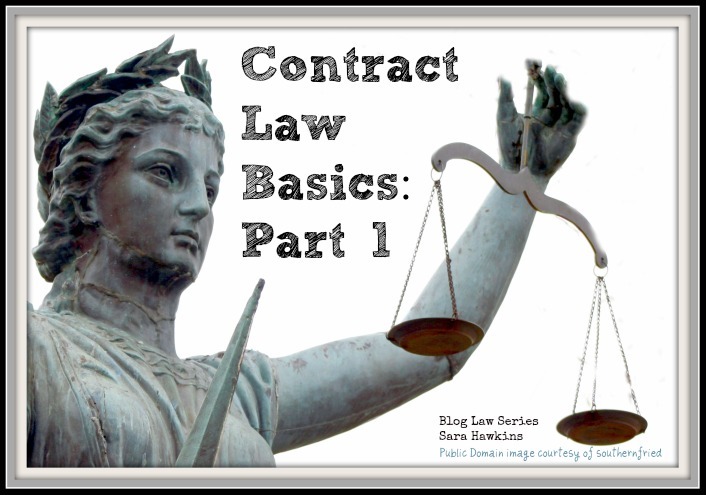 Let’s look at each of the three (3) basic aspects of a valid contract. an expression of willingness to contract on a specific set of terms, made by the offeror with the intention that, if the offer is accepted, he or she will be bound by a contract. What this means in real English is: You will enter into an agreement to do what you state IF the other party accepts your terms. It’s important to note that the accepting party MUST agree to YOUR terms exactly. If there are any changes then the other party has made a counter-offer to you. This is where negotiations take place. In essence, negotiations are just a lot of counter-offers exchanged between the parties. At some point we get to where all the parties agree on all the terms, at which time we move to the next part – Acceptance. an expression of absolute and unconditional agreement to all the terms set out in the offer. Note that a counter-offer, as mentioned above, is NOT an acceptance. Once you propose different terms you invalidate the original offer and can’t then go back and accept those terms. something of value each party to the contract receives. There was an offer – Jane sent a sponsorship agreement to Ellie. There was an acceptance – Ellie sent an email saying she agrees. There is consideration – Ellie will get $250. (2) Negotiations – Jane’s PR agency wants to sponsor Ellie for a conference. Jane emails over an agreement with all the terms and conditions, including how much Ellie will get and when. Ellie reads it over BUT she does not agree with the amount of money the agency wants to pay. Ellie sends Jane an email and explains that she will agree to do what is being asked by the agency but she wants $350 instead of $250. Jane emails back saying that this agreeable and she will modify the agreement and get Ellie a new one by the end of the day. There was a counter-offer – Ellie sent back a response changing one of the terms, namely the $250 to $350. There was acceptance – Jane agreed to Ellie’s new offer and accepted the new terms. There was consideration – In this example, it is $350. As you can see with these two examples, in the second one by changing one term – the payment amount – the original offer no longer exists and a new offer (a counter-offer) was put out there and needed to be accepted. You didn’t say that the parties have to sign the contract, what’s with that? Under the law of contracts, it is not a requirement that the parties sign the agreement. As we know though, in real life, an unsigned contract may not mean much. Or in the alternative, even with an unsigned contract, people start to work on what they need to do. Take our example above. If either Ellie or Jane (or both) did not get around to signing it and sending the other a signed copy but Ellie went to the conference and did what was asked of her under the agreement, Ellie would likely have a claim to the compensation agreed upon even without a signed agreement. The law is not designed to punish people who rely on the existence of a valid agreement when the only thing missing are signatures. What did the parties intend? Finally, and while not a specific element to a contract, there is an underlying notion that the parties intended to create a legal relation. It’s this concept that makes it really difficult to sue your brother or sister when they say they’ll take you out to dinner and it’s their treat but then only pay their half. As you can see, there are only 3 things needed for a valid contract – offer, acceptance and consideration. And while seemingly simple, each of these can become nuanced and complex. Nonetheless, with focus and understanding you can now begin the process or creating that formal legal relationship with an eye on protecting yourself. Keep in mind, though, that contract law can be very complicated. In law school, Contracts is a one semester class. And that class only touches on the basics. You can read Part 2 of Contract Law Basics about other common terms and conditions you might find when negotiating a contract with a brand or PR agency. I am writing a nonfiction book surrounding a murder and wanted to photograph the outside of a few residences, one would be where I lived, the others where a few other folks lived. Can I do that from the street, download them into my manuscript for print without permission or infringement of any kind? Generally, photos of buildings taken from a public place don’t pose copyright issues. There may be trademark concerns or other copyright issues related to artwork. Nonetheless, you’ll want to confirm this information with counsel as this is presented for information purposes only and not offered as legal advice. What consideration is offered by a bank when a mortgage is created? For a contract such as a mortgage, both parties are not required to provide consideration. The mortgage company is offering to carry a significant loan for the mortgagor the mortgagor is the one who pledges the consideration. Hi Sarah, I’ve been searching endlessly for an answer to a simple question, much like Lynn’s above. I am hoping this isn’t asking too much and would appreciate your guidance kindly. As a student nurse, I am hoping to write a book about the journeys experienced by Nurses through meeting with them and interviewing them on this along my study. I am unsure whether all I need to do in this regard is obtain their consent to use their stories, experiences or advice. Also to maintain confidentiality and privacy, I would obviously change any mentioned names and then ensure I acknowledge each Nurse? I hope you can help shed light to my growing concern! Anytime interviews are conducted for the purpose of writing a book, the author should obtain written consent to use the information gathered from the interview/conversations. As for changing names, that’s not always necessary, however, if there are concerns regarding privacy, publicity, or moral rights that would be something to consider. In addition, because you are discussing information obtained from a health professional you’d want to be concerned with HIPPA violations. Sara, I have a simple question. If a male romance author hides the fact that he is the author, by having his aunt step in for all author duties (signings, autographs, readings, etc. ), except the writing of the books, is there any legal backlash to the real author, should his secret identity come to out? The aunt is noted as the author of the romance books. Thank you! Toni, there are various industry norms for writers who use pen names. Unless there are any specific laws broken, there couldn’t be legal liability. I have a question….my friend and I have garnered a lot of recipes that we have done that are completely our recipes. However, we want to publish a cook book and this particular cook book is based on the Weight Watchers Smart Points System. Can we use the words “based on smart points” without getting into legal trouble? We certainly would not use the words Weight Watchers….both she and I have lost lots of weight using this company and we would like to share recipes with others to help them, and actually make a little profit in doing so. Smart Points is the intellectual property of Weight Watchers Int’l and may even have a trademark registration in the US and/or other countries. While there is such a concept as nominative fair use in trademark law, it’s quite complex. The purpose of nominative fair use is to help ensure that trademark owners do not prohibit the use of their marks when they are used for the purpose of description or identification. However, it is very nuanced and determining if use is merely nominative or trades on the goodwill and suggests endorsement of the brand is not an easy determination. You would want to talk with a trademark attorney to determine what, if any, potential liability you might face if Weight Watchers were to object to your use. In today’s ultra fast moving world, one of the big errors that people make with contracts is in getting something drawn up then just forgetting about it and assuming they’re covered. As you will know, a written contract is the starting point in any legal dispute but not the end point. Contracts get varied and the misconception can be that the original written contract always applies, it doesn’t. True, a contract should be revisited if there is a change in circumstances that would make the existing contract obsolete, incomplete, unfair, or otherwise ineffectual or unenforceable.